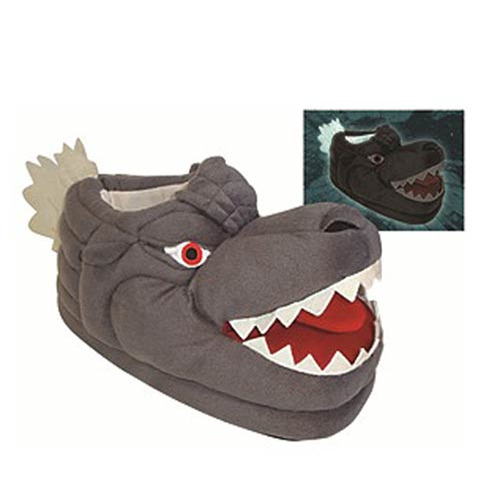 Everyone will run in fear when you stomp around town just like Godzilla in a pair of Godzilla Glow-in-the-Dark Plush Slippers! Let out a ferocious roar as you lumber down the street while his monstrous jaws chomp and his terrifying nuclear glow illuminates the dark. One size fits most, up to a Men''s size 12. Ages 14 and up.